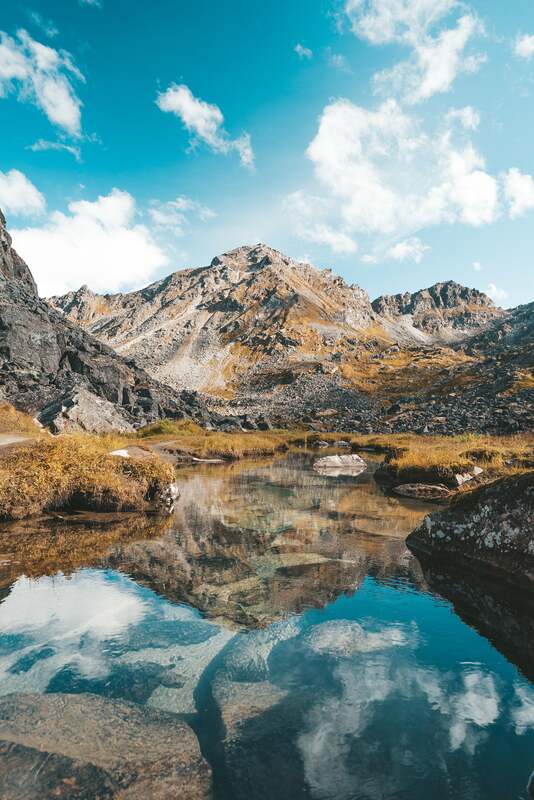 The group hadn't even made it halfway to the basecamp for the night when it pulled over on the first of several stops to allow the Alpha Collective members to hop off and immediately begin photographing the jaw-dropping wilderness, making it clear that every aspect of the adventure would be taking "the scenic route." 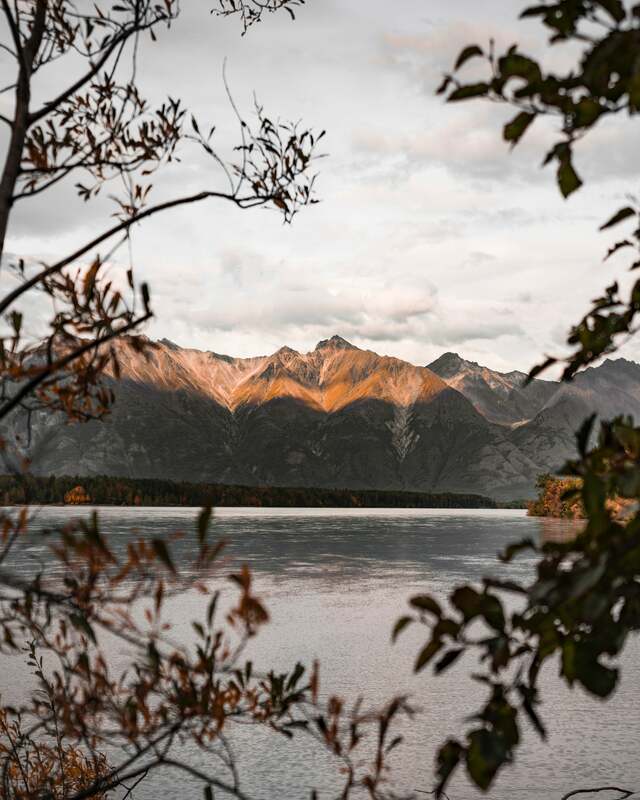 Staggering mountains, glacier-fed lakes and trees hitting the prime of their brief color-changing period were the perfect warm-up for what would be an increasingly epic adventure. 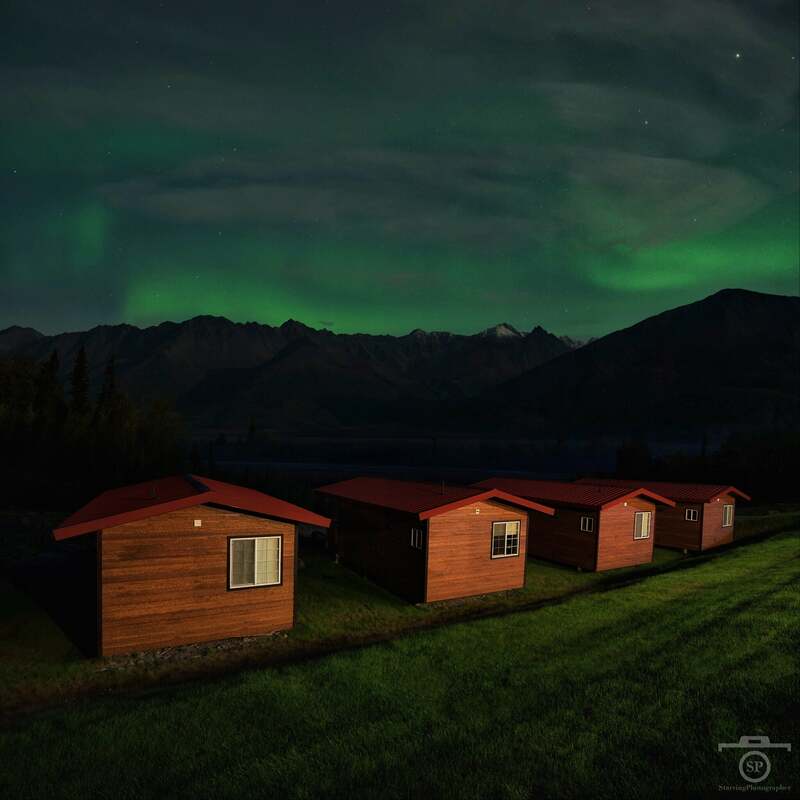 The group was treated to something at outside their cabins along the Knik River in Palmer, AK that many were seeing for the very first time - the Aurora Borealis. 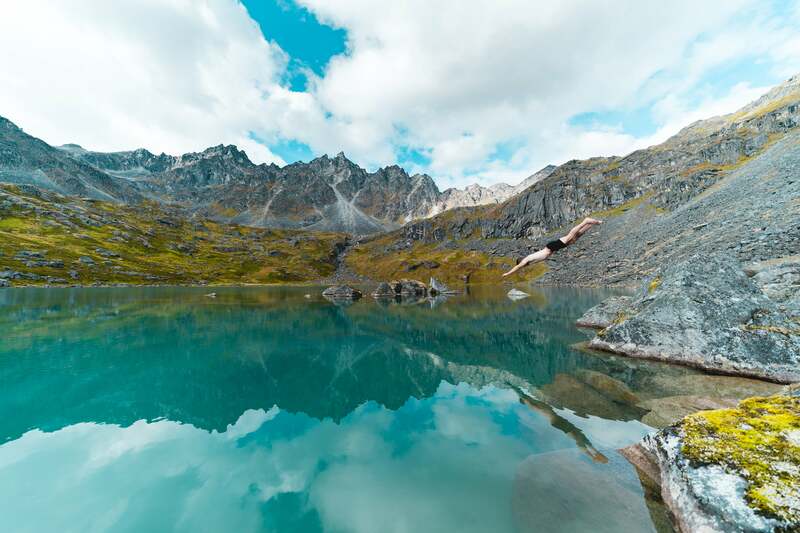 The group split into two directions for day hikes; one headed out on a boulder-laden hike to the alpine Reed Lakes in the Talkeetna Mountains while the other set out across Hatcher Pass to explore Independence Mine, at one time the state's second-largest gold mine (now dilapidated and a state historic site), as well as hike up to a nearby glacier-fed pond. 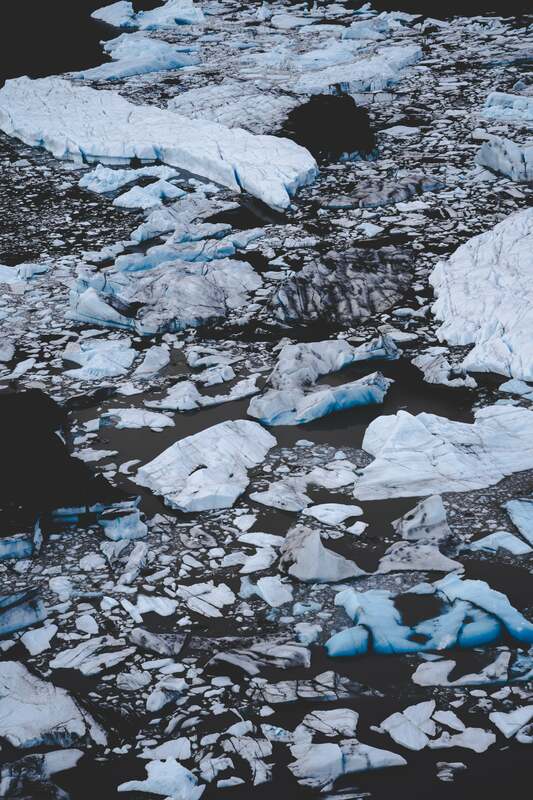 Everyone pulled out their cold weather gear and boarded a helicopter right outside their cabins that carried them to Knik Glacier, a sprawling 25-mile-long-by-5-mile-wide glacier that feeds the also 25-mile-long Knik River that empties into Cook Inlet. 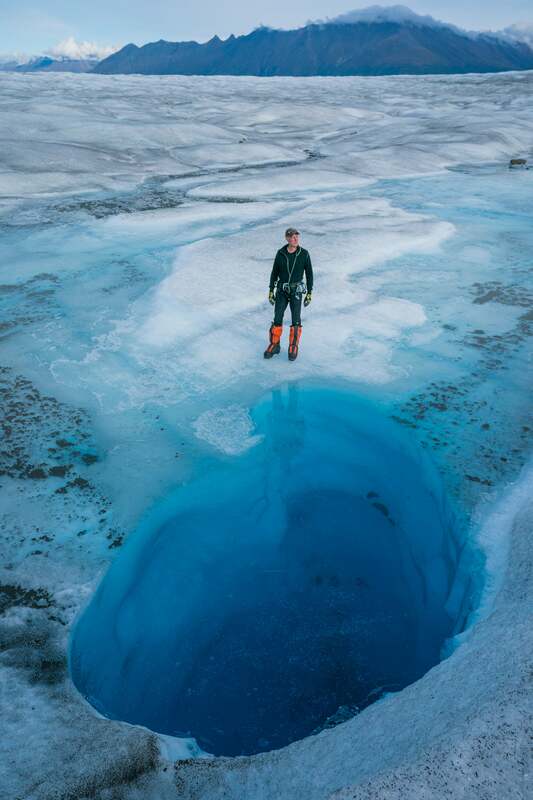 After gearing up with crampons the Collective members traversed the massive ice field, navigating its extensive collection of crevasses and crystal clear ponds. 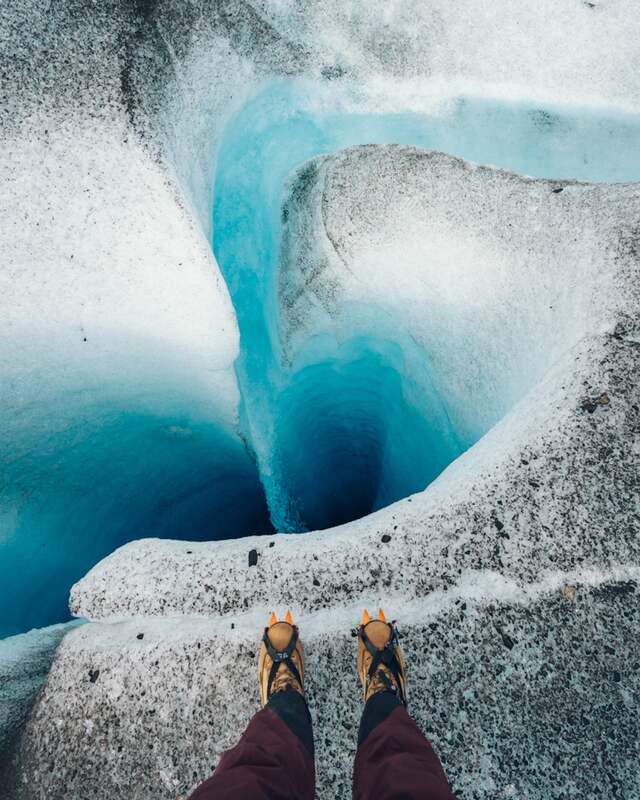 Each member also stepped into climbing gear and was lowered down to photograph a cavernous 40-foot hole in the glacier with a stream of pristine water pouring into its depths. 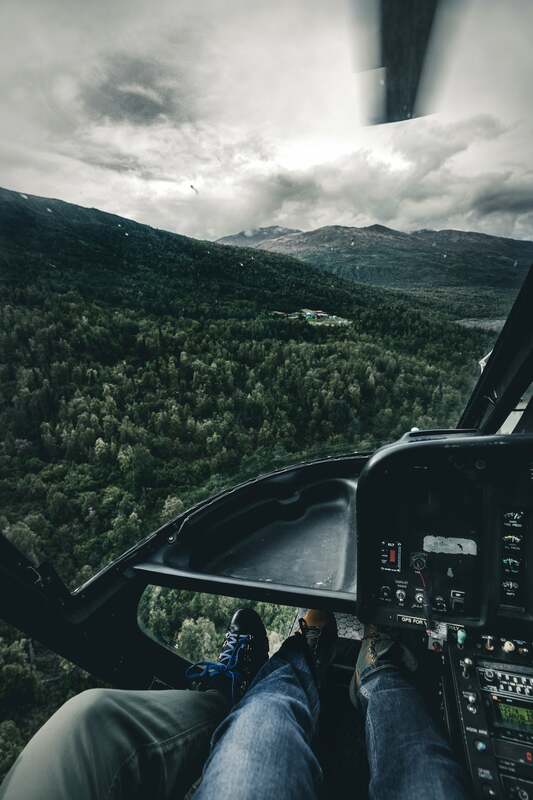 The crew then boarded the helicopter for another astonishing ride over the glacier and river landscape with their cameras in hand. 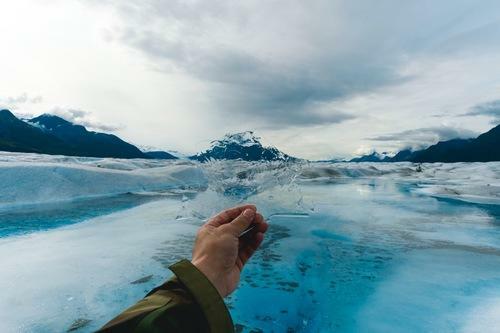 The Collective boarded a small fleet of floatplanes that provided a mind-blowing 45-minute aerial tour of the Kenai Peninsula en route to Lake Clark National Park where they landed on the spectacularly blue Crescent Lake. The crew climbed aboar two pontoon boats upon which they cruised and photographed some of the lake's most notable inhabitants - bears. All throughout the extensive shoreline of the large shimmering lake that was replete with giant salmon, the crew witnessed over 20 bears, many of them mothers and their cubs, fishing during the final stretch of time before they'd retreat for a long winter's nap. 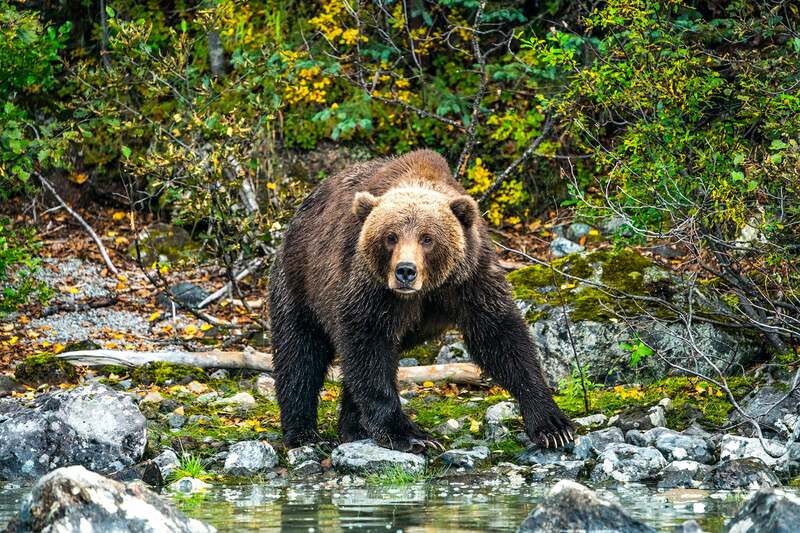 The boats were able to bring the giddy Collective members as close as nearly 20 feet of the bears at times as they clamored to capture the impressively large predators hunting along the water. After a day of intimately observing and documenting the bears on Crescent Lake, the group boarded the floatplanes that again gave them a phenomenal view of the diverse wilderness below as they returned to Anchorage to eventually depart back to what the Alaskans call "the lower 48."